The Commonwealth Aircraft Corporation was formed in 1936 to manufacture aircraft in Australia. The first General Manager of CAC was the noted engineer Lawrence Wackett whose influence over design was to be seen throughout his time at the Corporation. British manufacturers tried to discourage local Australian production amid fear of loss of their natural markets, but there was great outcry when the colonial upstarts selected an American design for production. Based on the North American Aviation NA-33, but modified to suit local requirements, the aircraft was named Wirraway, an Aboriginal word meaning challenge, and this was appropriate, given at that time Australia was not even able to fully manufacture motor cars. CAC produced not only the airframe but the engine, while industry provided support with equipment and fittings. Total production between 1939 and 1946 amounted to 755 aircraft. While intended as a general purpose trainer aircraft, the Wirraway was used in combat against Japanese Zero fighters in the desperate defence of Malaya and New Guinea with terrible losses. Their principal contribution was as a trainer and in Army co-operation duties in New Guinea. 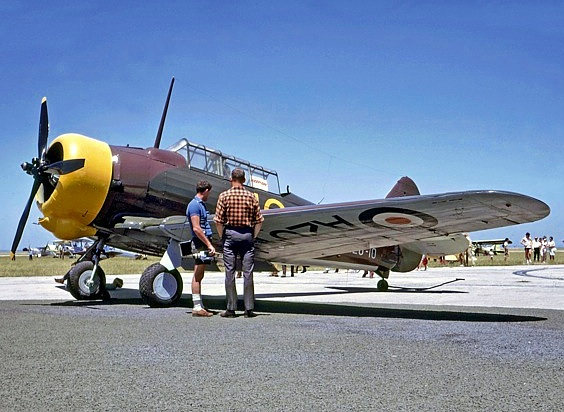 Wirraways remained with the RAAF as advanced trainers until replaced by the CAC Winjeel in 1958. 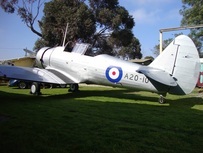 The Museum’s aircraft is the eighth production and oldest surviving Wirraway. It was delivered in September 1939 and served until 1958.